The year is 2027, you play Adam Jenson who after an attack had to be cybernectically augmented so he could survive. These augmentations define the gameplay and the story as a war is waged over the augmentation of the humans and the altering of human evolution. Deus Ex Human Revolution stylistically picks up in many ways where Blade Runner left off. It feels exactly like the original Deus Ex 2000 game and that is a very good thing. The game offers choice, nearly every mission can be approached in three ways. Using stealth, conversation, or good old fashion fighting Deus Ex let's you own the game, you choose how you want to fight, what you say, the missions you take, and how you complete them. 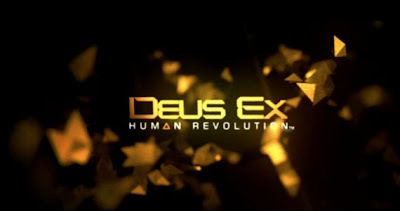 One day you maybe be playing Deus Ex and you may want to blast your way into every mission, the next day maybe you decide that you'll talk your way out of every conflict, it is up to you, Deus Ex Human Revolution is your game. The price of these choices is a level of complexity that not every gamer might be used to, Deus Ex will not hold your hand, you need to explore, think, and be strategic. You have a variety of weapons all of which are upgradable and you can also upgrade your cybernetics giving you the ability to see and punch through walls, become invisible, jump higher, run faster, well you get the picture. Deus Ex is a great game that gives you the possibilities that can spark your imagination. The weak spots however are some very bad character modeling and animations at times, faces go from looking perfectly normal to perfectly terrible as does some of the acting. The main character though is incredibly well acted and he anchors the game. Bad acting and puppet like animations hold it back from being a perfect game but this is an incredible beautifully world and it's easy to get lost in. I give Deus Ex Human Revolution 9 stars out of 10.